We’ve just reached a major milestone in the ‘Pimp My Truck’ project. Successfully acquiring an MoT test certificate last week meant that all of the significant mechanical work has been completed. 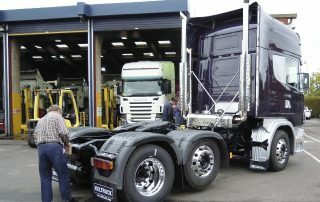 With Keltruck’s valuable contribution effectively over, I went up to Newark to personally drive it across to Banbury, where Gary Coles and his team will be adding a few more touches, including the custom front bumper, ahead of the next public appearance, at the T&D Retro Truck Show at Gaydon on September 18. Since the last update, the guys at Keltruck Newark have completed the massive task of reassembling Piper’s custom leather interior and refitting most of the exterior trim. Wizard electrician Kevin Larkin completed the wiring so that extra lighting provided by Kelsa and Hella could be connected, although we still need a suitable head unit to provide some sounds for the Fusion speaker system. If you know of a source, please let me know! 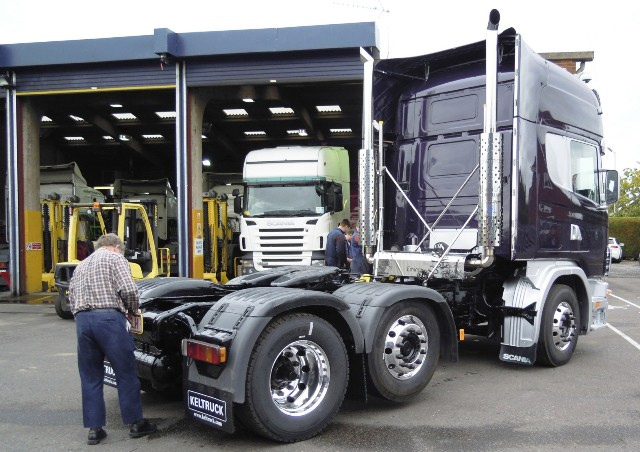 A major improvement to the Scania’s appearance came when the new alloy wheels and tyres were fitted by Tyretracks. 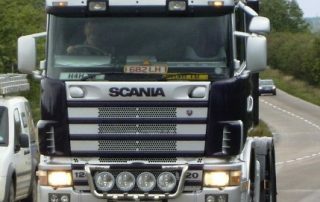 An MOT-fail windscreen chip was discovered at Truckfest, and Scania GB kindly supplied a replacement. 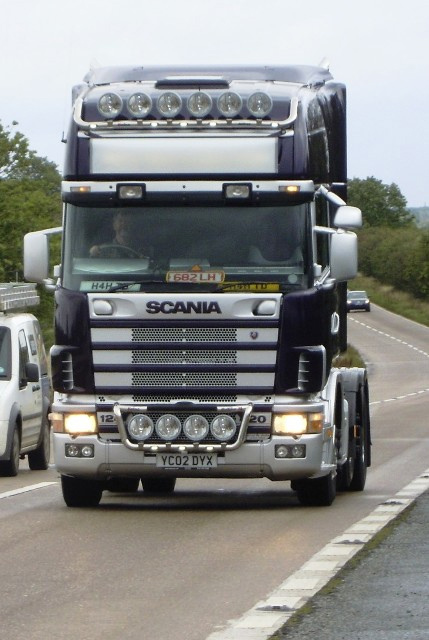 Apart from the short trip to the test station, this was the first time the Scania had been on the road for a considerable time, the move to the Peterborough Truckfest having been carried out by recovery specialist Jonathon Crouch and his team. So it was an apprehensive experience, especially as the batteries had been refusing to hold charge, but it started on the key after an overnight rest. After a quick photo-shoot for a potential story in the Newark Advertiser, we hit the massive A46 dualling roadworks. The combination of a solo tractor unit, brand new tyres and wet roads meant caution was the order of the day but all proceeded uneventfully. During the drive down to Banbury, a short snagging list was created, but a non-functioning fuel gauge is about the most serious. As I write, I’m hoping to get some graphics done by 3M in time for Gaydon. We still have some paperwork to sort out, to get the taxation class changed and the new H4H TD registration sorted, then the main task remaining will be to have the rear bodywork fitted. 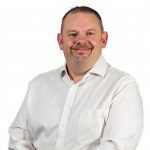 Then the truck will be available for sponsors’ publicity purposes, with the ultimate target to have the sale of the truck featuring heavily at the CV Show and Truckfest, prior to a celebrity handover. If you get a chance, come along to Gaydon to see the progress for yourself.